LEO VARADKAR IS the Irish public’s overwhelming favourite to be the next Taoiseach after a general election. The Social Protection Minister last week signalled his interest in taking over from Enda Kenny as Fine Gael leader and, subsequently, as Taoiseach. And it seems like he has the support of many Irish people. That’s according to a new Claire Byrne Live/Amárach Research poll, released tonight. The Claire Byrne Live /Amárach Research Panel consists of over 1,000 Irish adults, all aged 18+. Who is your preferred Taoiseach following the next general election? In a Sunday Business Post/Red C poll published yesterday, Varadkar edged ahead of Housing Minister Simon Coveney by 29% support to 27%. 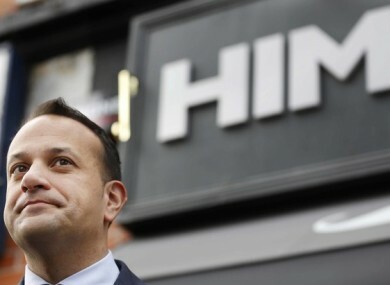 Speaking yesterday on RTÉ’s Marian Finucane Show, Varadkar said that it was important to remember that there was no leadership contest launched, and he apologised to the public that they would have to listen to political rumours about it for the next six weeks. Email “Irish people have one overwhelming favourite for the next Taoiseach”. Feedback on “Irish people have one overwhelming favourite for the next Taoiseach”.